← 199 followers… perfect time for a break! This entry was posted in Dream State Saga, LitRPG, Stuck in the Game and tagged Amazon, Best Seller, Stuck in the Game. Bookmark the permalink. 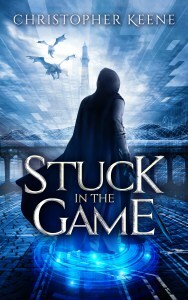 7 Responses to Stuck in the Game = Amazon Best Seller? Couldn’t have done it without ya! Thanks, still think second book is better but I guess not as many people have read that one yet. Think of yourself as the straw that broke the camel’s back. Congratulations on the success of your book. Thanks a lot, came out of nowhere.